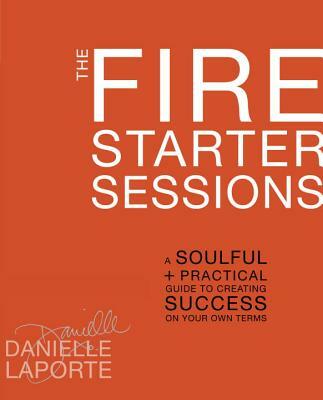 "The Fire Starter Sessions" is an apathy-kicking, integrity-infusing guide to defining success on your own terms. We have ambition backwards. Getting clear on how you want to "feel" in your life + work is more important than setting goals. It's the most potent form of clarity that you can have, and it's what leads to true fulfillment. A former think tank exec, business strategist and publicist, and a member of Oprah's SuperSoul 100, Danielle LaPorte is one of the most popular and original personal development and career-advice writers online. Forty-something, tattooed, and versed in Buddhism and P&L statements, Danielle is a gifted motivational speaker, and has been featured in "Elle, Body + Soul, More, Vogue Australia, Better Homes and Gardens, Globe and Mail, "the" National Post, Huffington Post, Entertainment Tonight," " USA Today "and" "BusinessWeek.com."